Go to Device service and repair and sign in. Select the device associated with your service request. 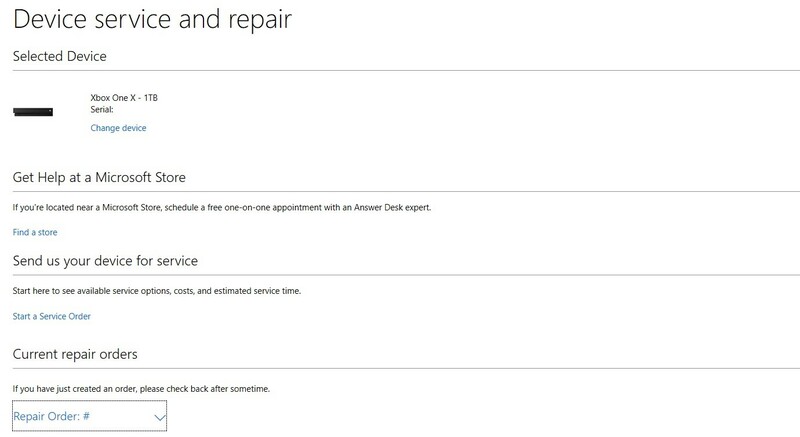 Select Repair Order at the bottom of the page. The status of your order will appear. Use the proof of shipment or tracking number you received at the time of shipping to check the shipment status at the carrier’s website, or contact the carrier for more information. Once we receive your product at our service center, we will notify you by email. See How to check the status of your repair for steps on how to find your tracking number. When we ship your serviced product from our service center, you’ll get an email that includes a tracking number. Use that tracking number to check the shipping status at the carrier’s website, or contact the carrier for information. Note It can take up to 3 days for the shipping status to update on the carrier’s website. You can stop or cancel an existing service order up until the day you send the product to the service center. Once the item is shipped, you can’t stop or cancel the order. Allow 24 hours for the cancellation to be processed. If a refund is due, we’ll post the refund to your account within 72 hours after confirming the cancellation. To change the email address used or the return delivery address, you’ll have to cancel and then resubmit the order. If you’ve already sent in your Xbox console or Kinect sensor and find that you need to have it delivered to an address different from the one listed on your order after you’ve shipped it, contact the shipping provider. If you’ve already sent in your controller, power supply, or other accessory, or have paid for an item to be sent directly to you, and you find that you need the replacement sent to a different address, contact your shipping provider. If the service center has already received your defective product or shipped out a replacement, you can’t cancel the order, and we can’t issue a refund. A service order and the associated shipping label (if applicable) are valid for 30 days from the day you submit the request. The service center inspects your product upon arrival. If no service is performed (repair or exchange), we’ll return the product and send you a communication with info about why the service wasn’t performed. If you receive a damaged serviced product or one that’s not working, contact Customer Support. Do not return the product to the service center without first reporting the issue. Contact Customer Support for help in these cases. 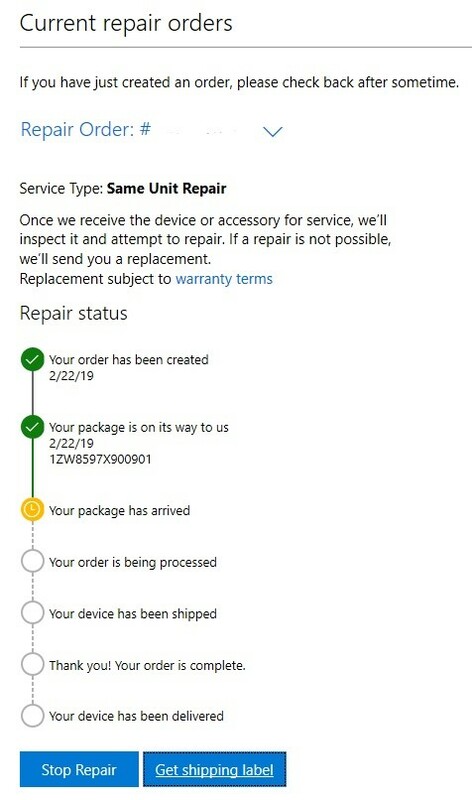 Note Microsoft is not responsible for the loss of any additional products or accessories (such as a power supply, controller, or game disc) that you included with the product when you sent it in for service. Would you like to contact Support regarding the "Help with your existing Xbox console or accessory service order" issue you were reading about or a different issue?